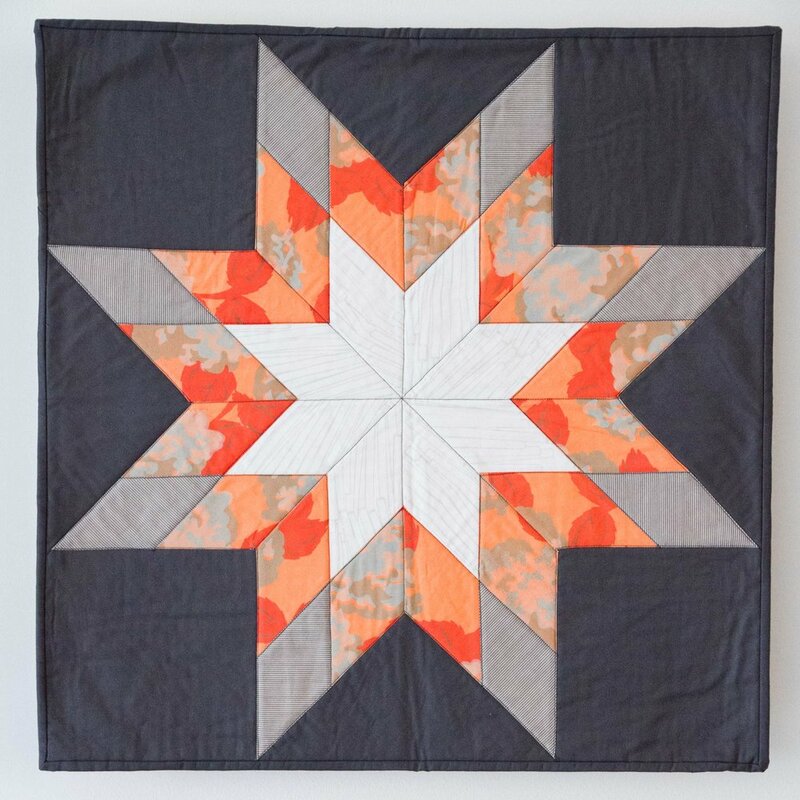 For Black and White Twelve, I experimented with piecing the quilt halfway, screen printing blooms, and then finishing the piecing process. 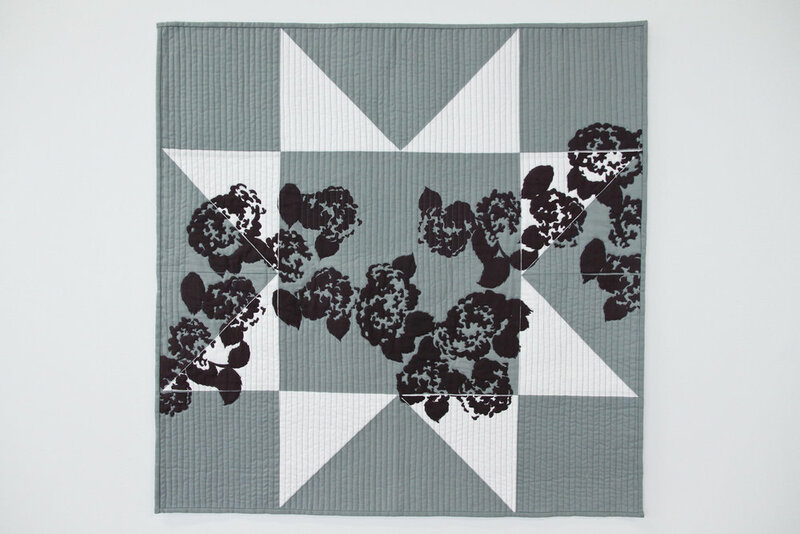 I love the subtle play between the cream and white and the dark grey and black and how the flowers weave through the quilt, contrasting organic with the architectural. 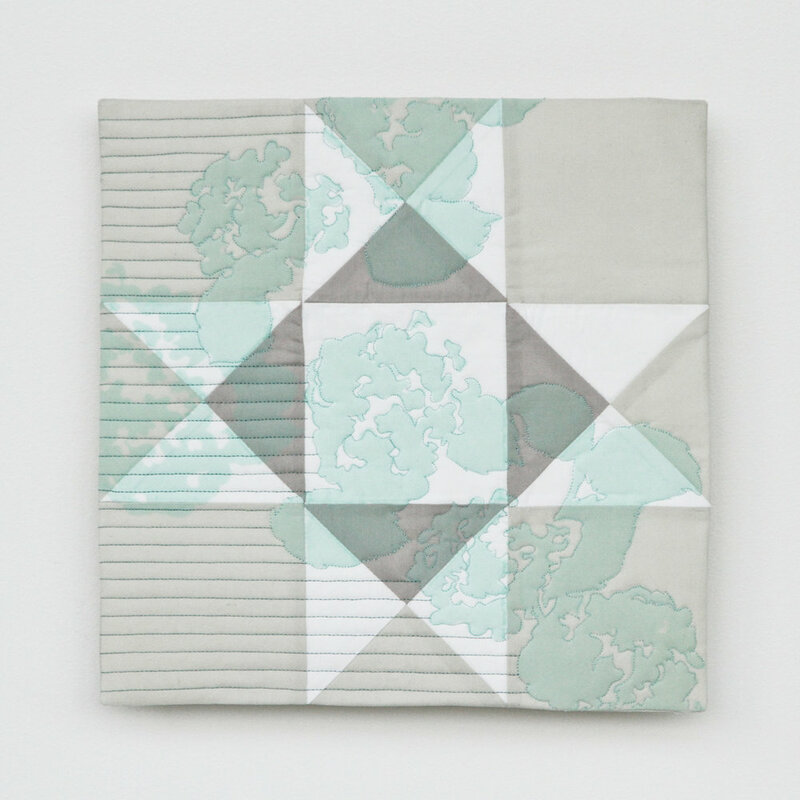 Lenten Twelves was a six-week creative study that I pursued with my Mom. 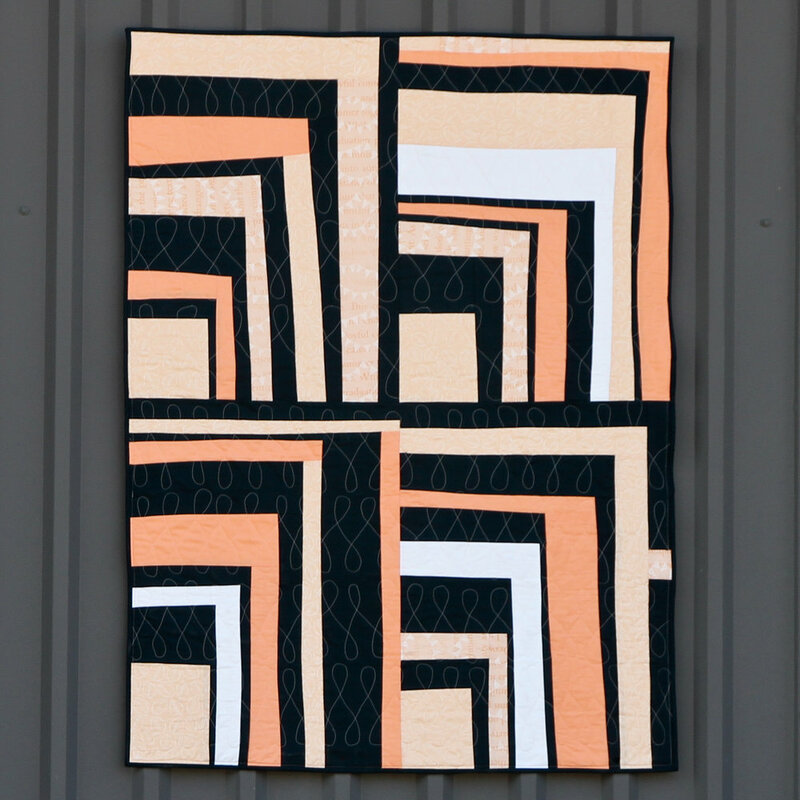 Each week of Lent we created a 12" x 12" quilt exploring new quilting and binding methods. 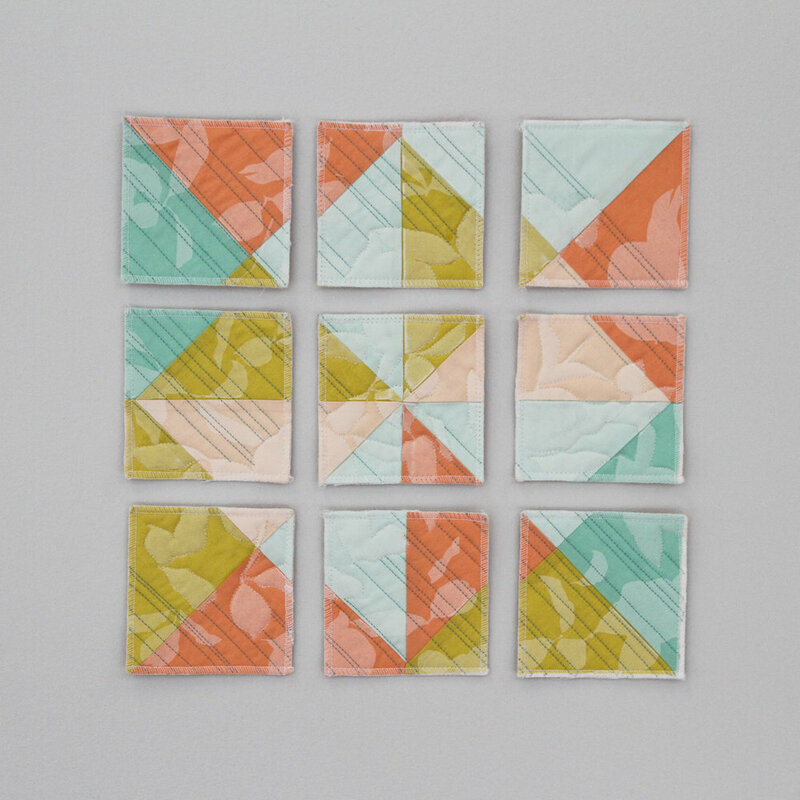 This mini collection of 2' x 2' wall quilts explored the same enlarged block designs of my senior exhibition in a new, fresh palette of citron and mint.